Stabilizers are device that is used to stabilize the voltage in a house or for single device to protect the device failure due to voltage fluctuation. Nepal has potential to produce electricity which can be used to light up almost Asia Continent but unfortunately it has been unable to produce due to lack of economic resources. People use stabilizers of different brands to stabilize the voltage but among them Voltcare stabilizer is the leading brand of stabilizers. Voltcare Stabilizer is automatic stabilizer with Hi-Low cut and overload protection. It can lift voltage from 90 volt to 220 volt to run all the systems efficiently. It is being used and trusted by millions of people in Nepal. It has different capacity which can be used in a small house to big industries to protect different devices from failure due to voltage fluctuation. 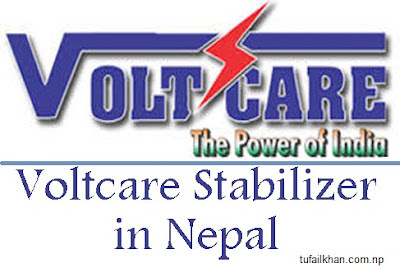 Voltcare Stabilizers are imported in Nepal by Faiz International located in Bhairahawa. They have been distributing their products through dealers all over Nepal. You can find Faiz International's contact details on their website's contact page.